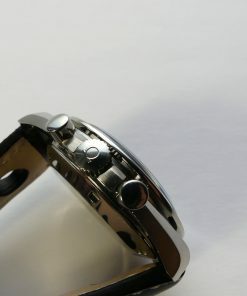 Beautiful !!! 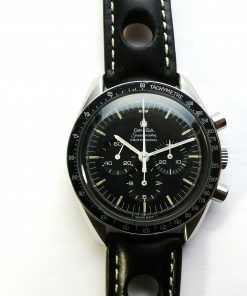 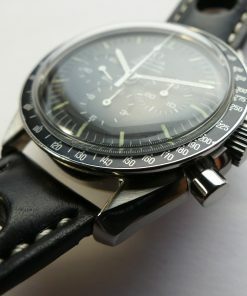 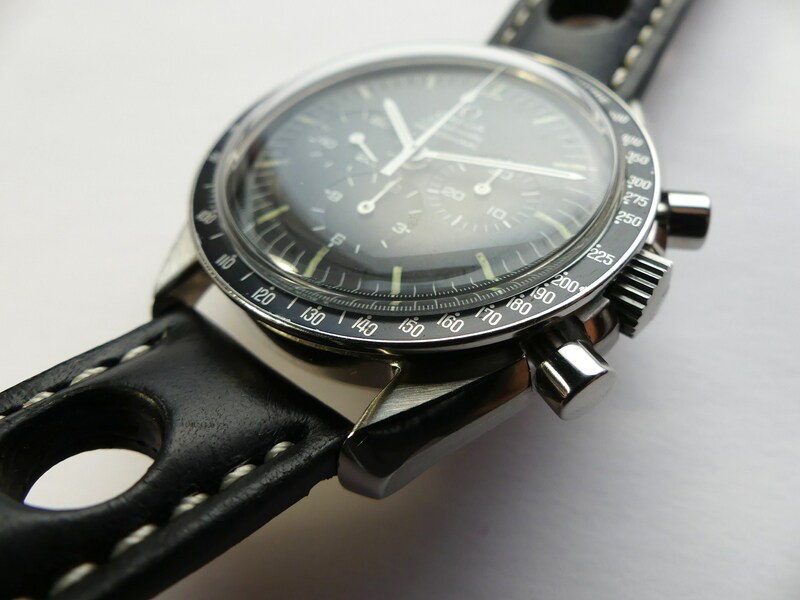 Omega Speedmaster Moonwatch in great demand. 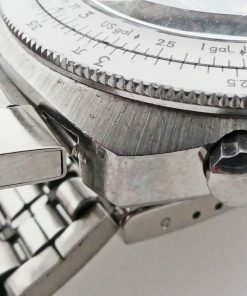 This model of Ref. 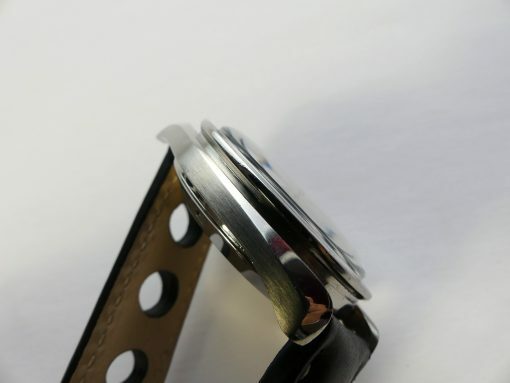 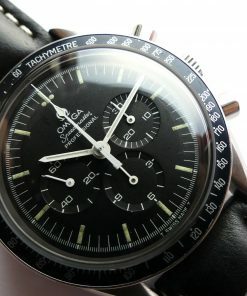 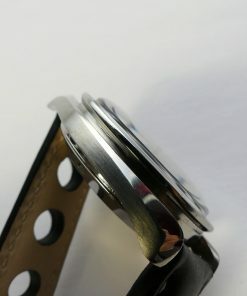 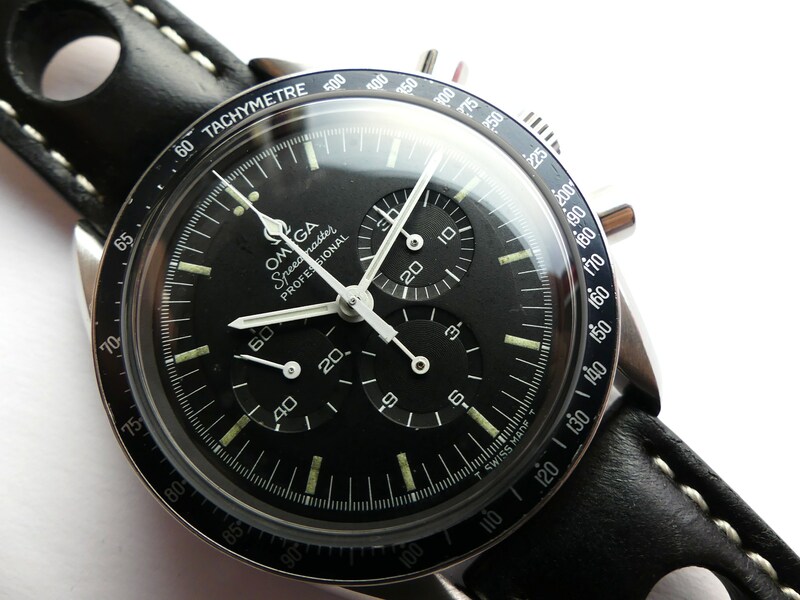 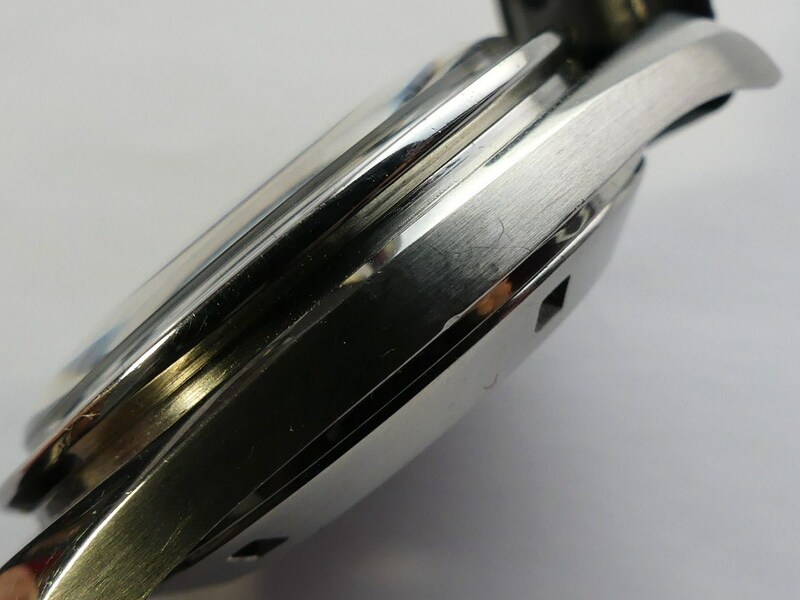 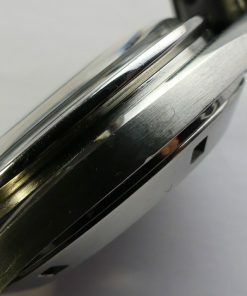 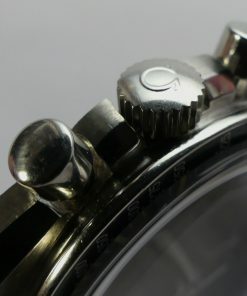 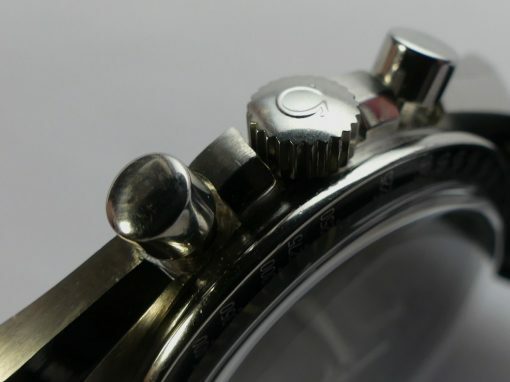 145.022-69ST is in authentic condition with manual winding movement caliber Omega 861 dating 1969. 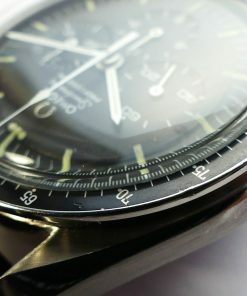 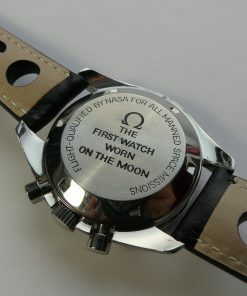 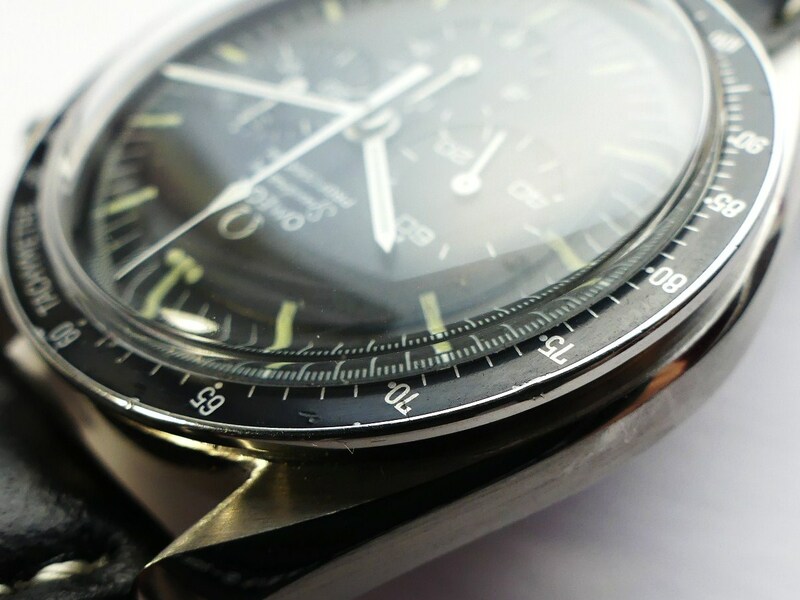 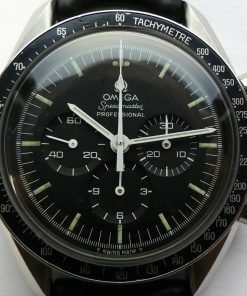 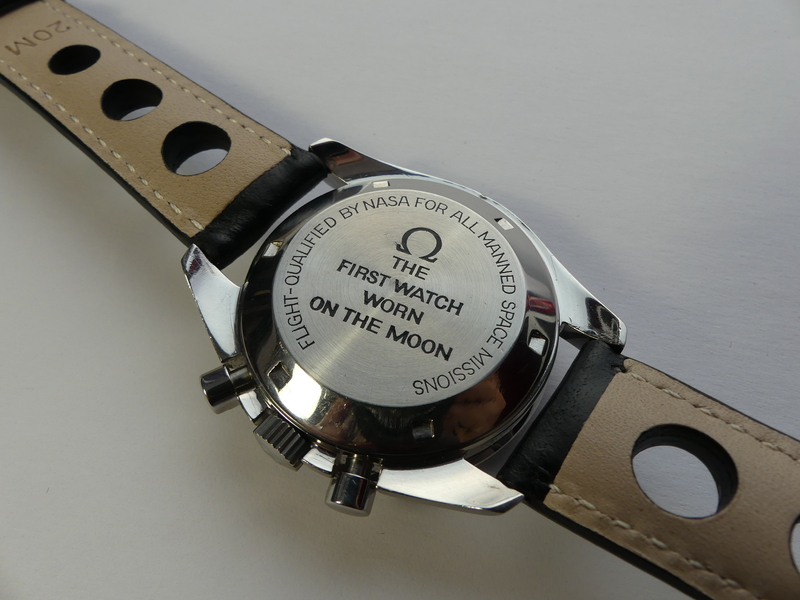 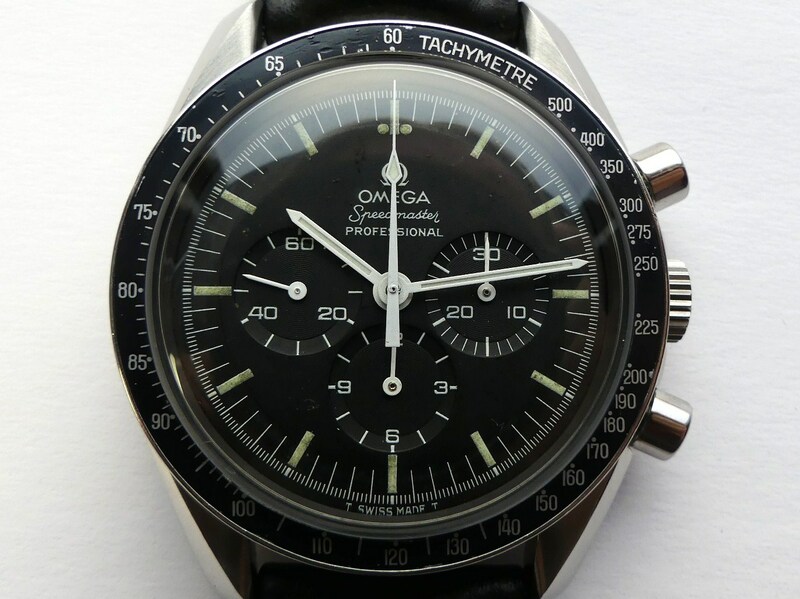 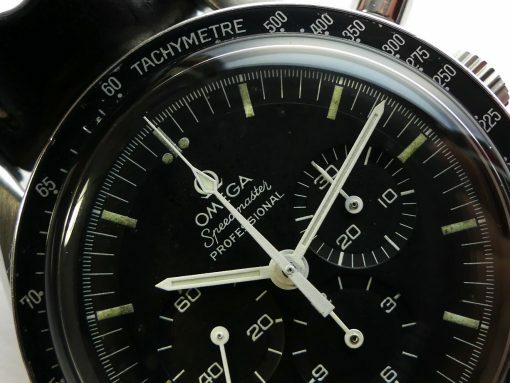 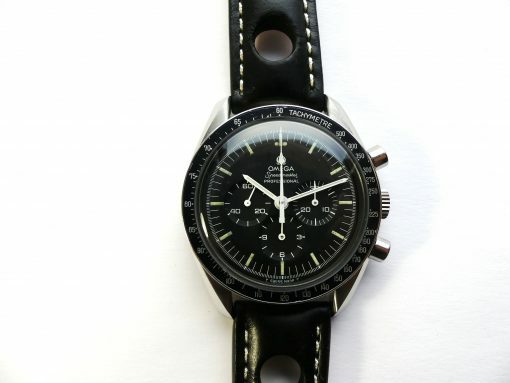 The Omega speedmaster was produced after the moon landing and signed on the back case with “The first watch worn on the moon”. 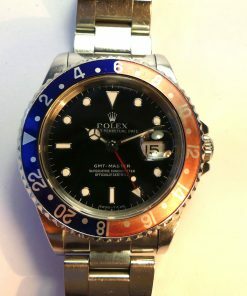 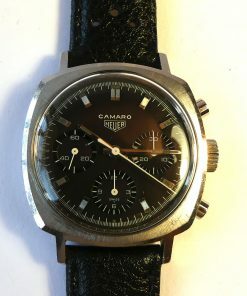 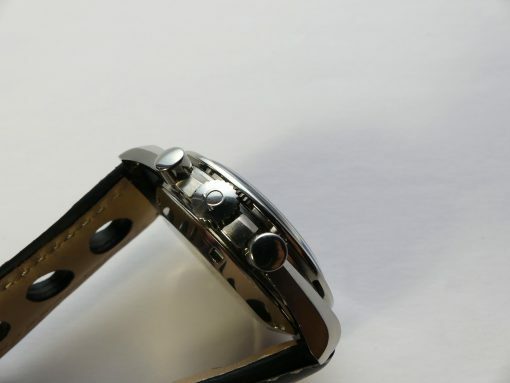 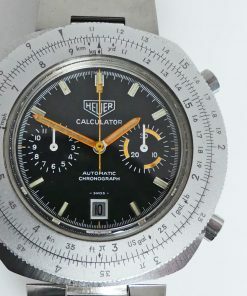 With black dial and three black subdials. 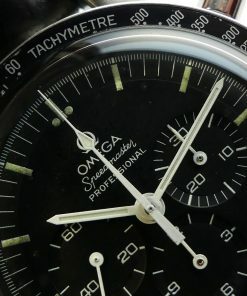 Outstanding condition – looking great. 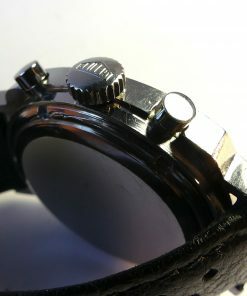 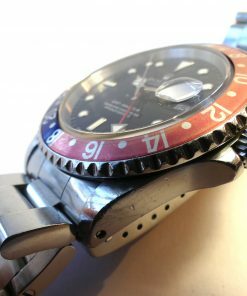 With black leather strap. Engraving "The first watch worn on the moon"